The trees at the University of Arkansas Campus were in the middle of changing to their fall colors. 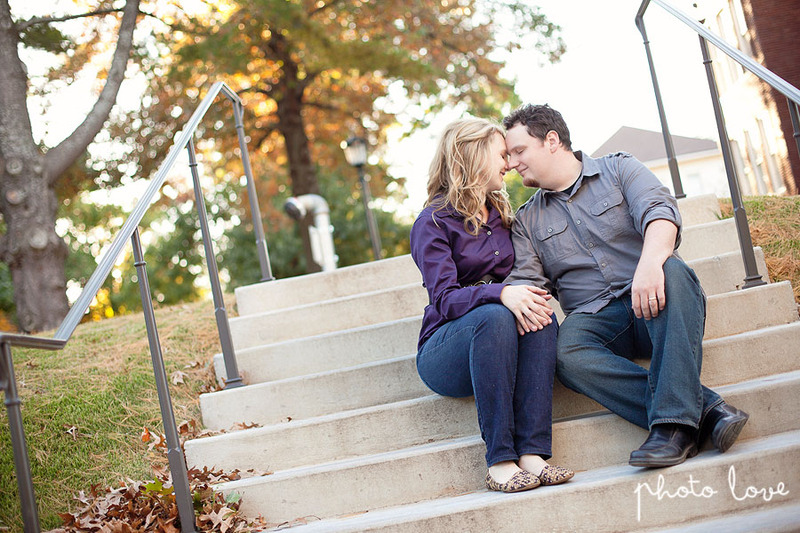 It was a great day for Anna and Samuel's sweet engagement photos. Their cute dogs also joined in the fun. 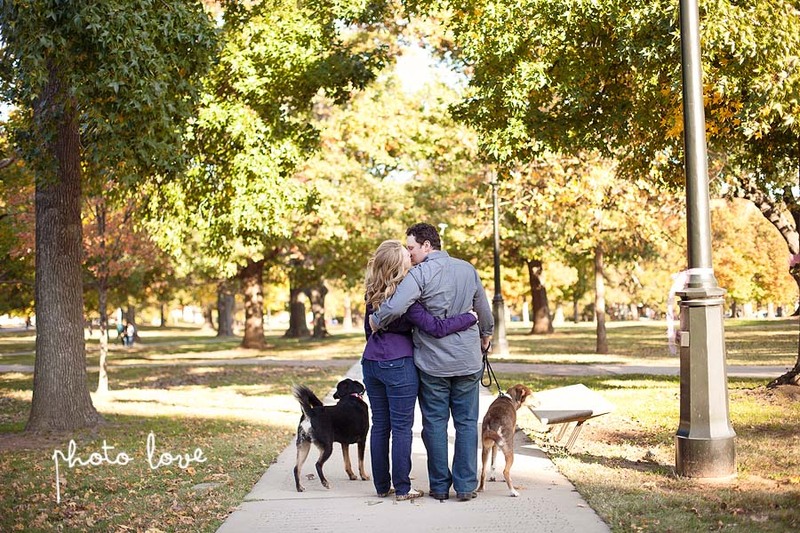 Congratulations, Anna and Samuel! 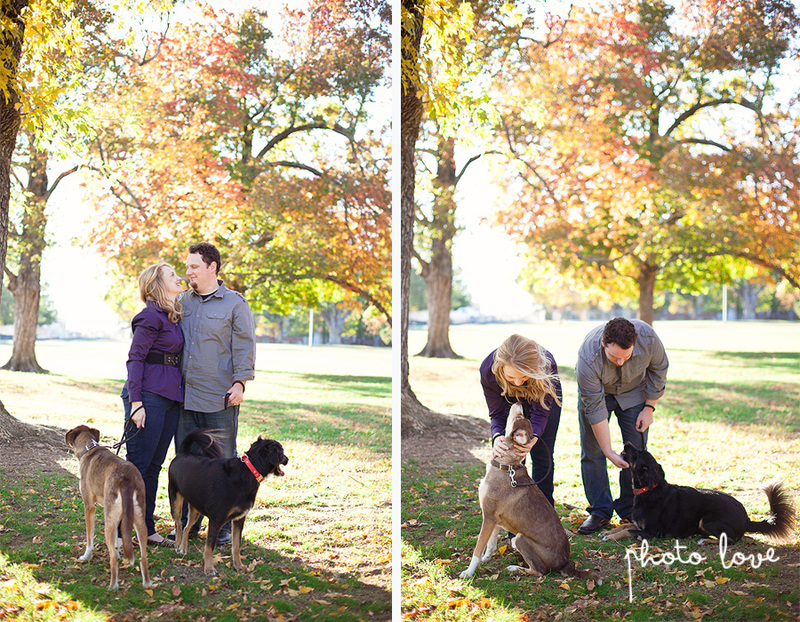 These dogs added lots of fun and personality to this engagement shoot. 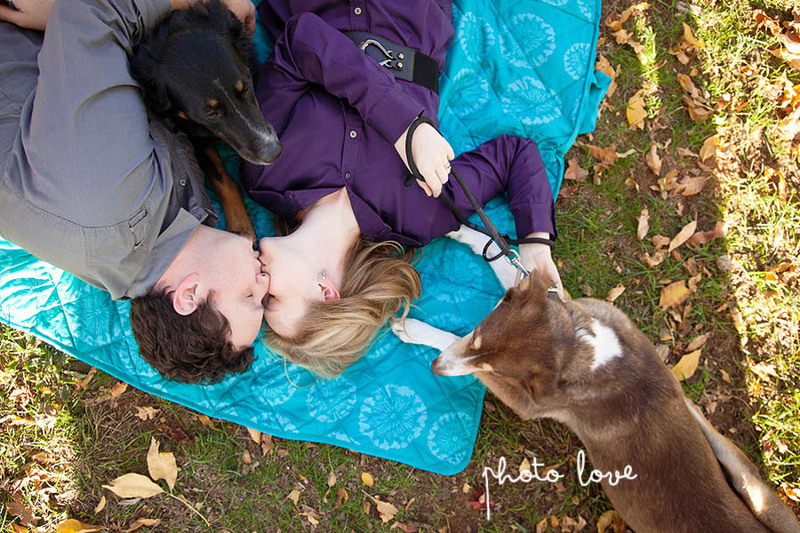 What a cute new family!